The availability of both screening and diagnostic modalities on one platform greatly increases convenience for users, making it possible to move from screening to diagnostic ABR when a Refer/Incomplete result is generated during initial screening. With its modular design, Integrity™ V500 can be flexibly configured with Automated ABR and/or Diagnostic ABR as required. 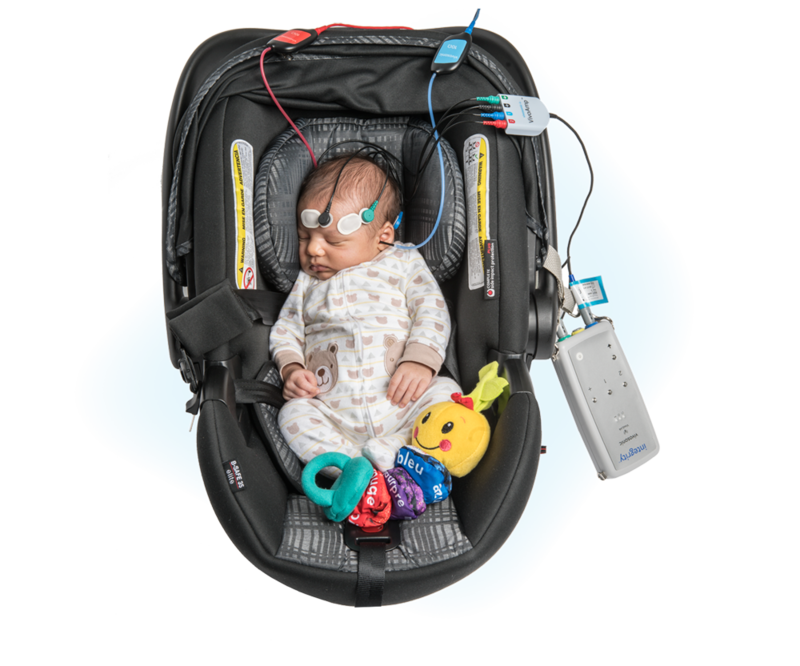 The Integrity™ V500 System with the automated Auditory Brainstem Response modality, ensures simple, fast, and effective hearing screening of newborns to identify potential neural hearing loss. Soft sounds, a series of click stimuli at 30 or 35 dB nHL, are presented to the ears to stimulate the auditory brainstem. The clicks are delivered by ER-3C insert earphones. Special electrodes placed on the infant’s forehead, nape and shoulder (or other appropriate site) are used to detect small electrophysiological responses from the auditory brainstem. The electrophysiological signals are amplified and information about these signals is sent wirelessly from the Link to the computer. The computer analyzes the responses and determines the screening outcome. The outcome of every screening is saved to the computer for tracking and reporting. Screening programs have the option to print the test result to include in patient records. The outcome may indicate normal hearing, the need for auditory diagnostic testing, or the need for subsequent rescreening. Results that indicate possible hearing loss should be reviewed by a Physician, audiologist, or qualified hearing specialist for follow-up and clinical intervention. An ABR hearing screening test produces a Pass, Refer, or Incomplete outcome. Pass indicates the presence of an ABR and the ability to hear the soft clicks. Refer indicates the absence of an ABR and the need for follow-up assessment. Incomplete indicates that a screening outcome could not be determined. Efficient. No sedation required. Simplified data interpretation. When a Refer/Incomplete result is generated during initial screening, the follow-up re-screening or diagnostic testing can be conducted on the same Integrity™ V500 System, thereby facilitating earlier detection and treatment of hearing loss. Efficient: Reduces patient wait times and loss to follow-up. Same system can be used for screening and diagnosis, even while the infant is an inpatient. Built-in tools: Data acquisition and analysis are performed quickly and simplified to enhance confidence in waveform interpretation.